Well today I thought of sharing one of the simplest and cheapest recipe I know, Chick Pea Curry or in Indian terms Chole. This is a dish which is very popular among the vegetarians in India and originates from North India. And finally add the fresh cream and stir it. 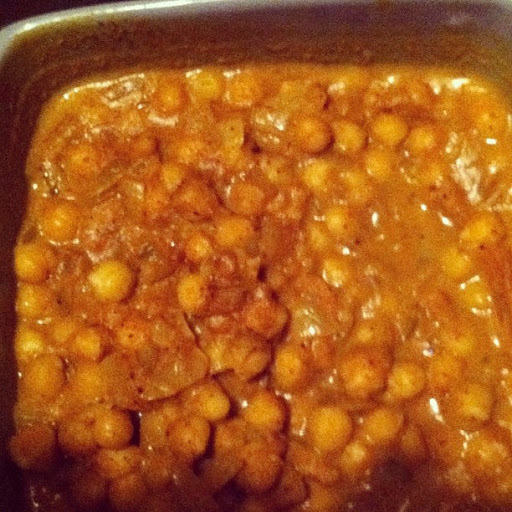 And the delicious, chole or chick pea curry is ready to be served with Bread/ Chapati/ Rice or just by itself! Hope you try it and have fun eating it!